In a world where entertainment is consumed in small portions, Doodle Jump has been near and dear to mobile gamers, including the mighty iOS users fan following. The game’s developers are now expanding the game’s reach by releasing an iPad version of the said title. Doodle Jump for iPad shares the same look and feel as well as gameplay as the standard iPhone app: by tilting the iPad, players need to guide the character, known as the “Doodler”, up a never-ending and increasingly harder series of platforms without falling or hitting enemies. While simple in and of itself, the game becomes increasingly harder as the “Doodler” moves up, requiring reaction almost too quick and accurate for a human being to have. 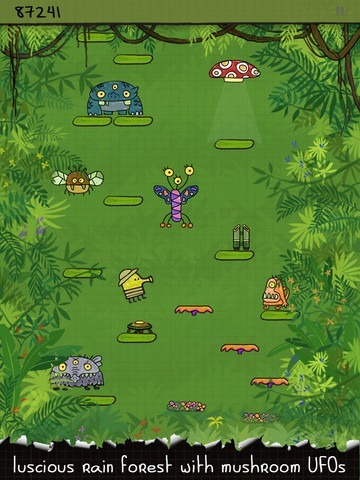 The iPad version takes advantage of the larger screen to allow for an even more accurate and fun gameplay. Indeed, the title won’t seem as “crammed” as before, especially early on in the game, and tougher levels might still not be as challenging given the greater amount of room the doodler will have to move around. Of course, the same modes (Original, Graveyard, Christmas, Rainforest, Space, Soccer World Cup, Easter, Underwater or Halloween) found on the regular iPhone version is available on the iPad version too. Doodle Jump integrates straight with the social gaming platform OpenFeint, allowing scores to be shared with the rest of the Doodle Jump community. Registration with OpenFeint is completely free of charge and brings many benefits to iOS games, much like Apple’s own Game Center but with a much broader user base. 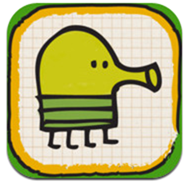 Doodle Jump was first released solely as an iOS game in April 2009, having inspired many other games since then. Later the same title was made available on other platforms, such as BlackBerry OS, Windows Phone 7, Android and soon to the Xbox as a Kinect game. The game was featured by many high-profile celebrities such as Jimmy Fallon on his American late-night talk show and even on the well-know television show Big Bang Theory. Indeed, Doodle Jump is considered by many one of the most fun and addictive games. 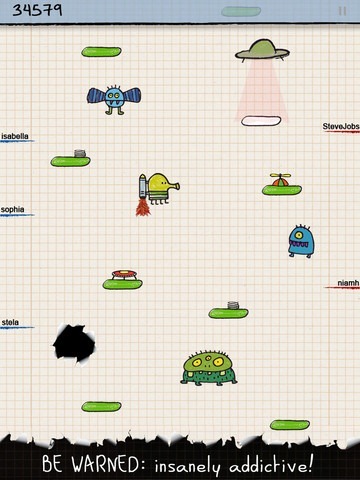 Doodle Jump for iPad is available for $2.99 on the iOS App Store starting today. If you own an iPad, I highly recommend it.